Fencing Contractors in Poole providing fencing services, agricultural, close board, feather edge, panels and trellis. 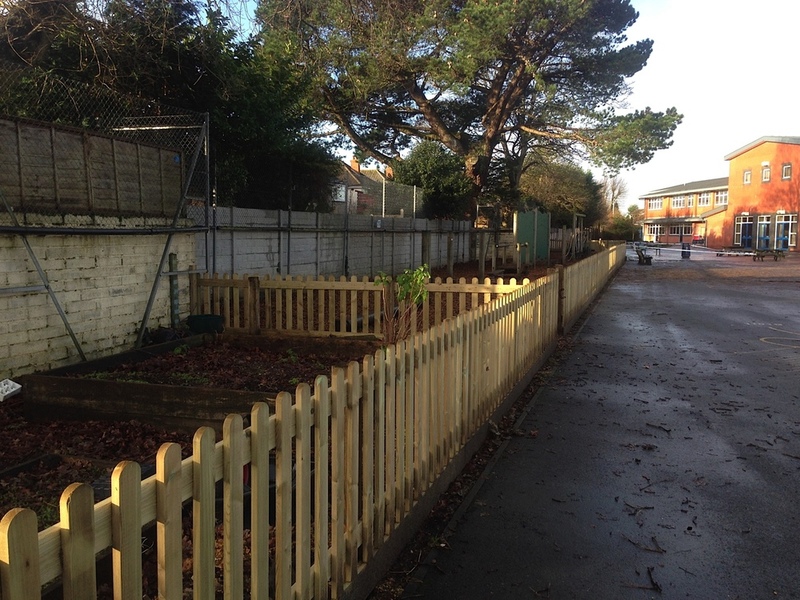 The Poole Fencing Company is a family owned and run business so you will be happy to know that you will be dealing with one person from the initial consultation through to completion of the work. We erect all types of timber fencing and panel fencing with timber or concrete posts, including closeboard (featheredge), agricultural fencing and also trellis. If you are thinking of replacing your hedge with a fence we can remove the hedge, take it away to be recycled and replace with your chosen style of fence. This can be installed with timber or concrete posts, with or without gravel boards, though we would always recommend the use of gravel boards. Concrete Posts with Panels is the most sturdy of fencing methods and is especially useful as when the time comes to replace panels, sliding them in and out is straight forward. The type of concrete is important, there is a big difference between good concrete posts and basic/diy posts. We use Lewis Concrete posts and gravel boards, a local company that supplies high quality concrete. The most popular panels are lapped and close board. We have, over the years installed miles of agricultural and equestrian fencing, and we can install this using traditional hand driven techniques, standard dig and concrete, right up to tractor and post driver. Stock Fencing - with Stock Fencing you can use High Tensile Steel - Modern, low maintenance fence that does not stretch with weathering, so does not need to be retightened annually, or you can use Mild Steel - Traditional stock fence option, useful for short runs with lots of turns or curves. Posts and Rail - can be installed using Square Section Posts, Half Round Posts or Morticed Posts, with horizontal rails, nailed to the posts. There is a choice of either half round rails or sawn square section rails. This can be used in many situations from Farm Fencing to Equestrian Fencing. One of the more popular styles of fencing nowadays. 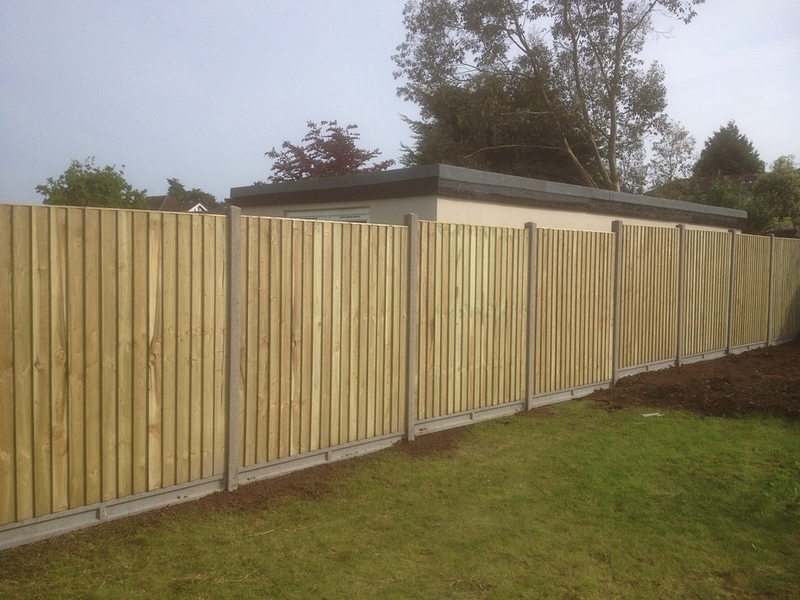 This fence is fully constructed on site, using timber or concrete posts, horizontal rails, gravel boards, and trenched cappings. The gravel boards themselves can be either timber or concrete, though timber makes a far more attractive looking fence and as the board itself is above ground, should last as long as the fence itself. Feather edge boards are individually nailed to the rails. This fence comes in slightly cheaper than panelled fencing and when installed correctly can be equally robust. Palisade Fencing sometimes referred to as Traditional Wooden Picket Fencing can be installed with round top or pointed pales. 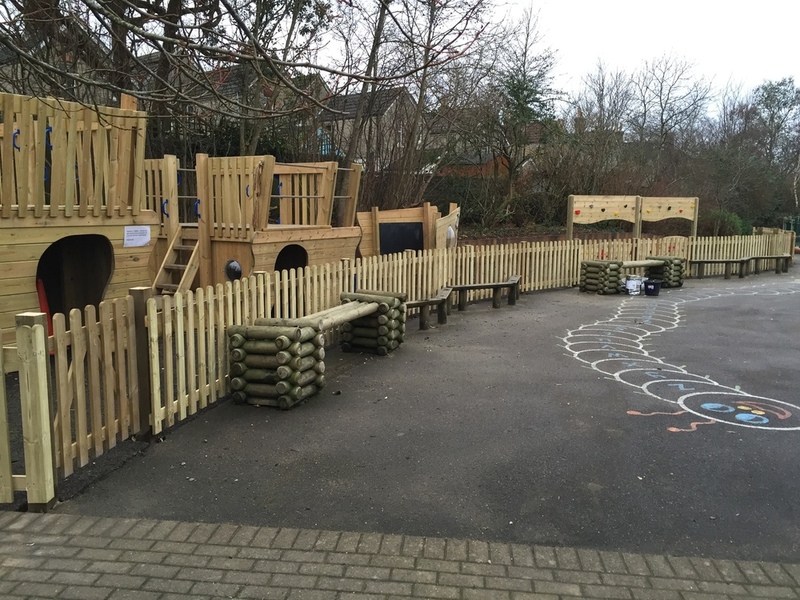 Usually installed with timber posts, this fence is ideal for childrens play areas. The timber comes sawn or prepared, this can be better if you plan on painting the fence. Matching gates are also available. All timber used by the Poole Fencing Company is from sustainable sources and is pressure treated to B.S Standards. Take a look at some of our recent work and feel free to contact us for a no obligation free quotation. Thank you Sam & Ben for a job very well done! Excellent work and we would not hesitate to recommend you.